What makes 14th of February so special? Your Valentine and a bunch of fresh valentine’s day roses. As for expressing love, you don't need a special day, but the vibes of this particular day are just phenomenal. How to make this day memorable? Let's have a look at some of the most romantic ways surprise your lover with flowers. What's better than decorating a special place with a bunch of colorful flowers with a delicious cake and a romantic card? Give a special makeover to your place and invite your loved one for lunch or dinner. Just before their arrival make a video and capture their expressions when he/ she looks at your special arrangement. 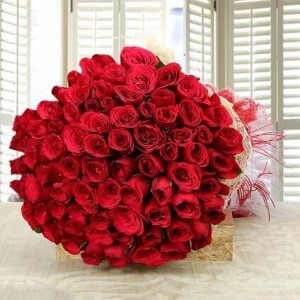 Just order valentine day flower from Bloom only and get it delivered at your doorstep. What about a giant flower bouquet? Sometimes you need to express your love in loud and for that, you need some special flower bouquet for valentine day. 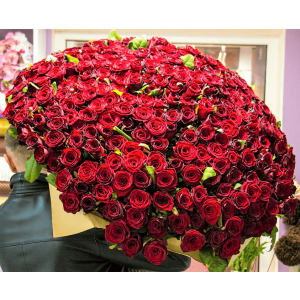 You can checkout out our Enchanted Love bouquet which is made up from fresh 1,000 roses. Every rose is perfectly arranged and packed with utmost care. 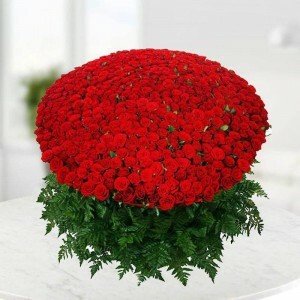 And in addition to this, if you need some flowers in bulk for decoration purpose, we also have a huge variety of cheap flower delivery options. Surprise your love by delivering a bunch of lovely, romantic flowers to wish valentine’s day. Make their morning a memorable one and let them start their day with the aroma of fresh roses. Or you can also add a sweet twist to it by keeping small chocolate and a sweet message in it. If you are looking for same day valentine flower delivery service in Pune, we are here to cater your every demand and make your day special and surprising. Just order flowers for Valentine’s Day in Pune and keep them in your car when you go to meet them. Greet them with fresh flowers and capture their smile which is full of happiness and amusement. Check out BloomOnly; it's the best Pune based florist to get any flowers delivery within promised delivery time. We offer hundreds of varieties of flowers, gifts, chocolates, cakes and many more. If you want to send flowers then you lot of beautiful options to choose from. Choose a bunch of colourful roses or go for a mono-colour flower bouquet of a heart shape. Get your heart-shaped flower bouquet from here; we are having special online bouquet delivery for valentine’s day. Go romantic by giving special customized romantic flower bouquet which has all kind of sensational flowers like roses, carnations, lilies, marigold and more. BloomOnly is the most famous flower shop in Pune to buy romantic flowers. What about a midnight surprise? Surprise apple of your eye by quick delivery flowers for Valentine ’s Day in Pune at midnight. We have a special service for midnight flower and cake delivery. 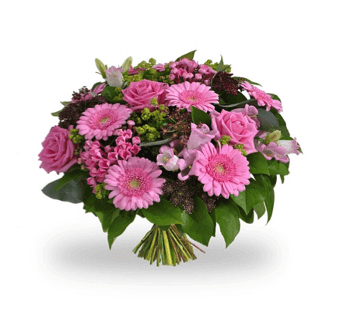 Visit BloomOnly for romantic flower delivery in Pune. Flowers not enough for you? Don't worry. We have a lot of other gifting options also. We are the largest supplier of roses for valentine’s day in Pune florist to cater your every need.